A fellow of Chartered Accountants Ireland Trish has been in practice since 1992. 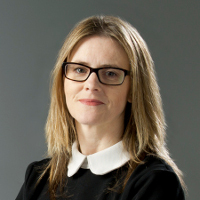 As a director of Nolan & Partners Trish provides audit, assurance and accounting services to a wide range of clients in the SME space across numerous sectors including professional services, legal and financial services. Trish works very closely with her clients and provides further advisory services in areas including tax planning, Revenue and Bank negotiations, restructuring and obtaining grant aid. Her broad experience also includes tailored advice to clients on all transactions to ensure tax efficiency and assist clients to maximise their financial position.